I’m definitely a HUGE coffee lover. I am pretty traditional when it comes to my cup of joe, but that’s only because I have zero barista skills. Believe me, I have contemplated getting a job at a coffee shop just to learn the ins and outs of creating those amazingly crafted beverages, but then I faced reality. 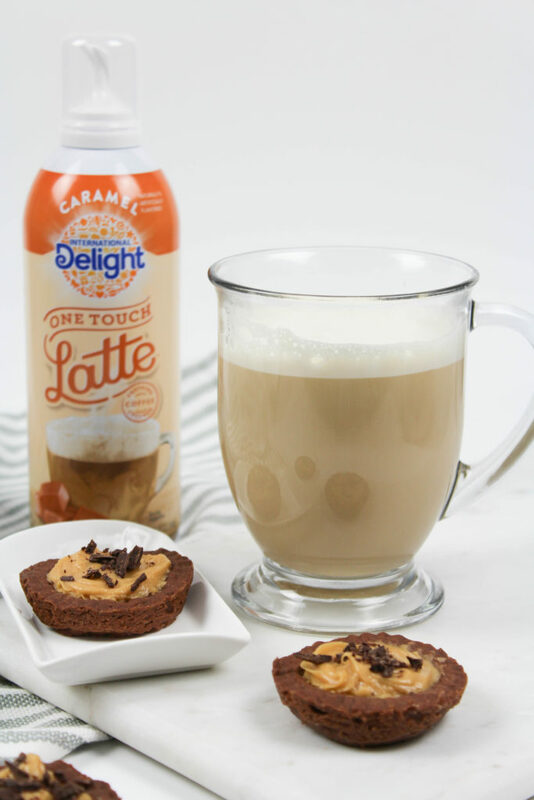 So you can imagine how thrilled I was when I heard about the International Delight® One Touch Latte™! 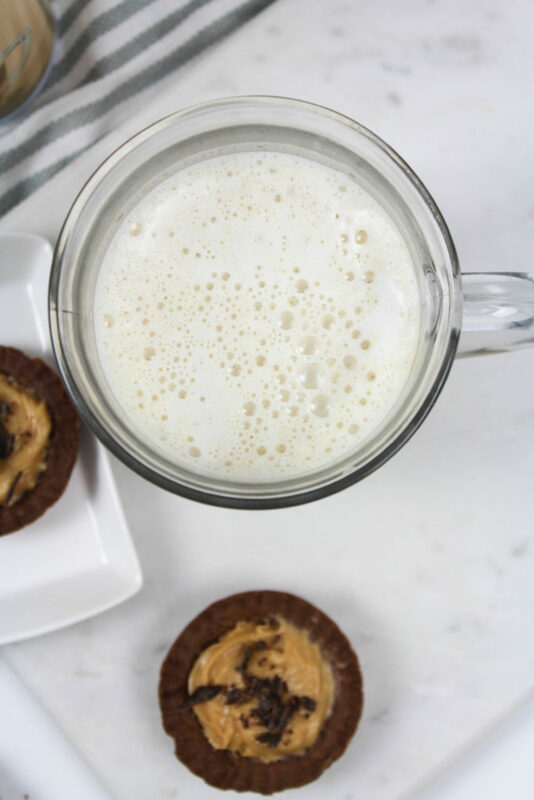 This little can turns an everyday cup of coffee into a sweet, frothy latte with one press! At first, not going to lie, I was a little skeptical. 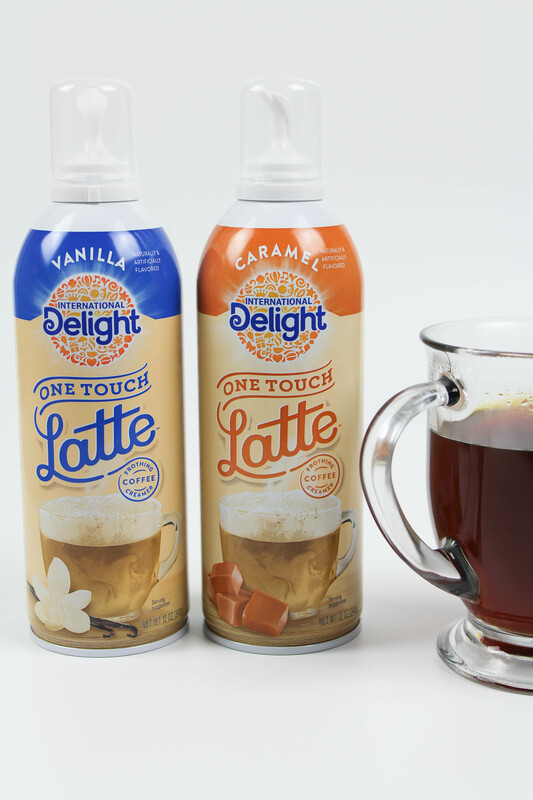 How could a can turn my coffee into a foamy, frothy, creamy cup of deliciousness? But, it proved me wrong, not to mention that it was the easiest latte that I’ve ever made! There are just three steps to the process and they are SIMPLE. Just fill your mug 2/3 full with coffee. Shake the can of your latte flavor of choice. Then press and hold the can over your coffee for 5-7 seconds. It sweetens, it creams, it flavors, … IT FROTHS! That’s it guys. No joke. My barista skills have just gone up a level. 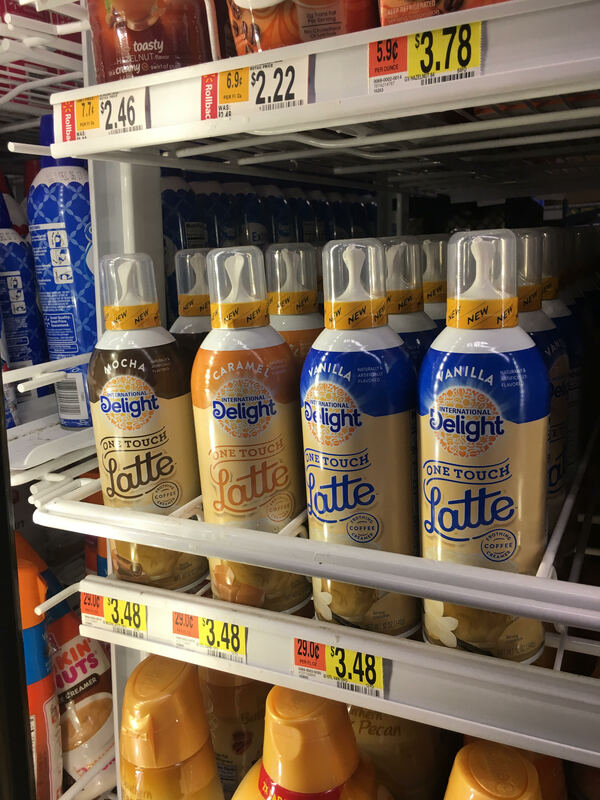 I picked up the vanilla and caramel flavors from my local Walmart store, but they also have a mocha option available too, that I’m dying to try! In a bowl, combine the flour, cocoa powder, and the salt. Mix well to ensure everything is combined well. Set aside. Using a stand or hand mixer, combine butter and powdered sugar until creamy. Slowly incorporate the flour mixture and mix until the ingredients are just combined. Don’t over mix. Form the dough into a ball and wrap with plastic wrap. Place into the fridge for 30 minutes to chill. Grease your muffin tin or tart molds and place each shortbread round into the pan, pushing slightly up the sides of the mold or tin, to form a tart shape. Place your filled tin into the fridge to chill again for another 10-15 minutes before baking. While waiting, preheat your oven to 350 degrees. After the tarts have chilled and the over has pre-heated, bake the tarts for 10-15 minutes until lightly golden brown. 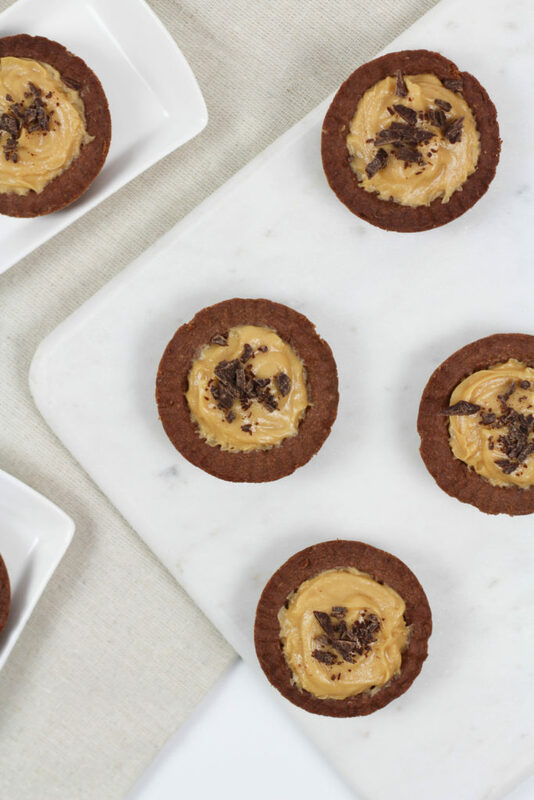 Remove and allow the tarts to cool for 2-3 minutes before carefully removing them from the pan. Allow to cool completely on a wire baking rack. 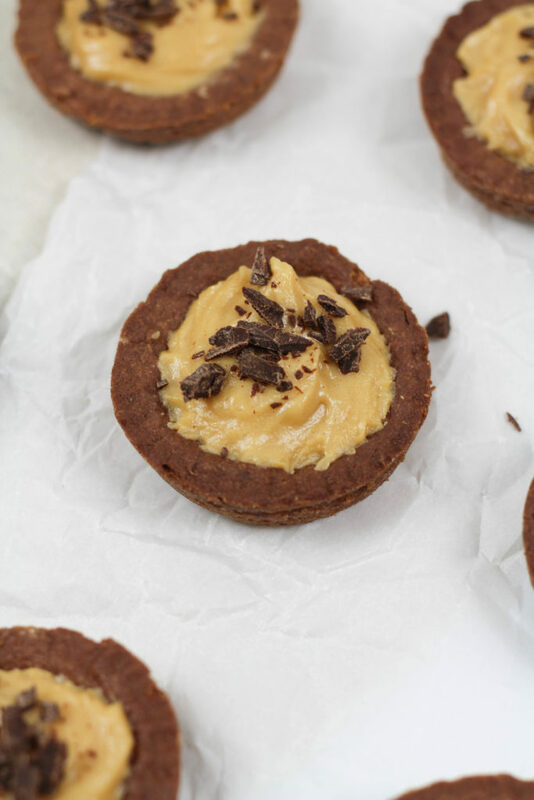 To make the peanut butter mouse filling, combine the peanut butter and cream cheese. Mix well. Once combined, add the powdered sugar and mix completely. Set aside. Using a stand or hand mixer, whip the heaving whipping cream until still peaks form. Slowly combine the whipped cream and the peanut butter mixture. Stir until you have a creamy peanut butter mouse. 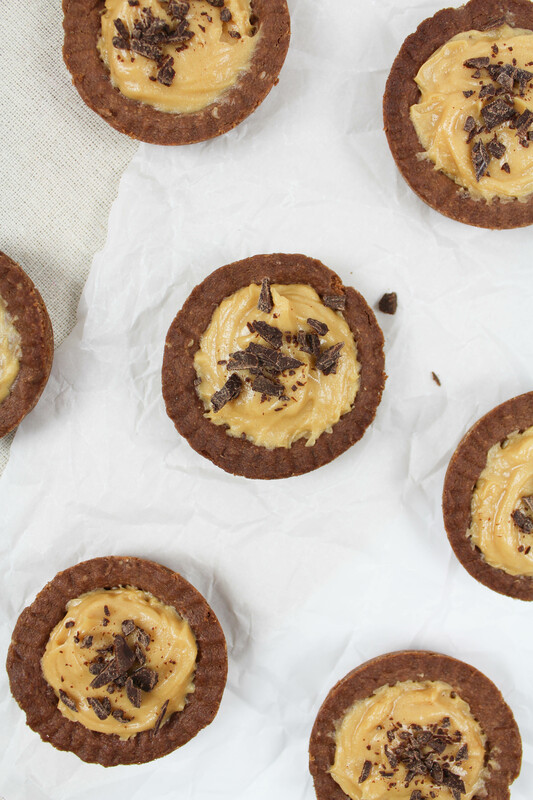 Carefully spoon the peanut butter mouse into the chocolate shortbread shells, filling to the top. 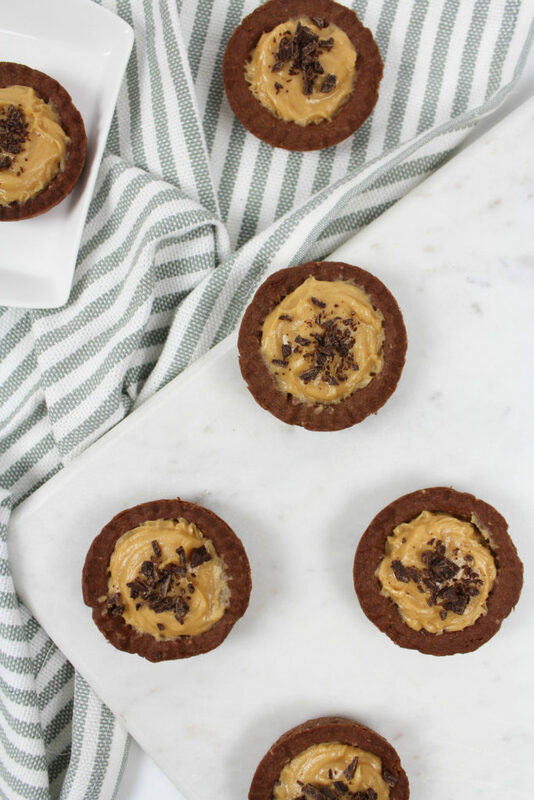 Top the finished chocolate shortbread peanut butter tarts with diced dark chocolate pieces and then serve! 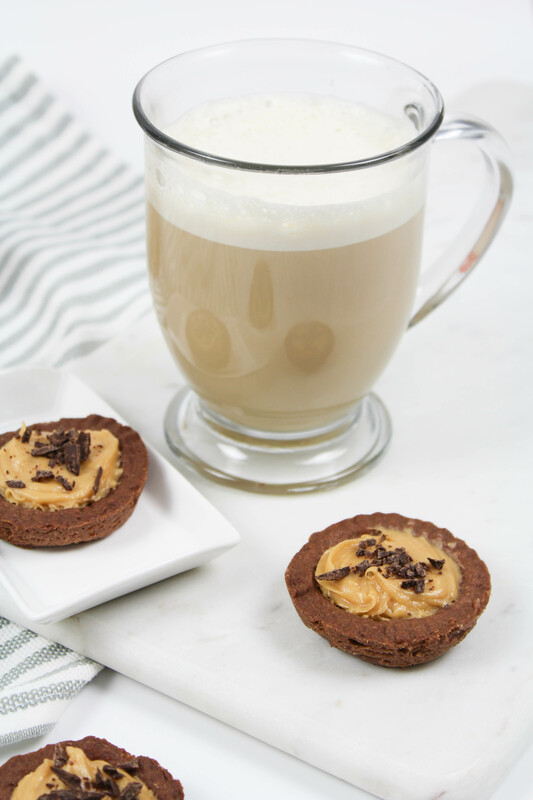 These chocolate shortbread peanut butter tarts pair perfectly with a One Touch Latte™ or your favorite coffee! 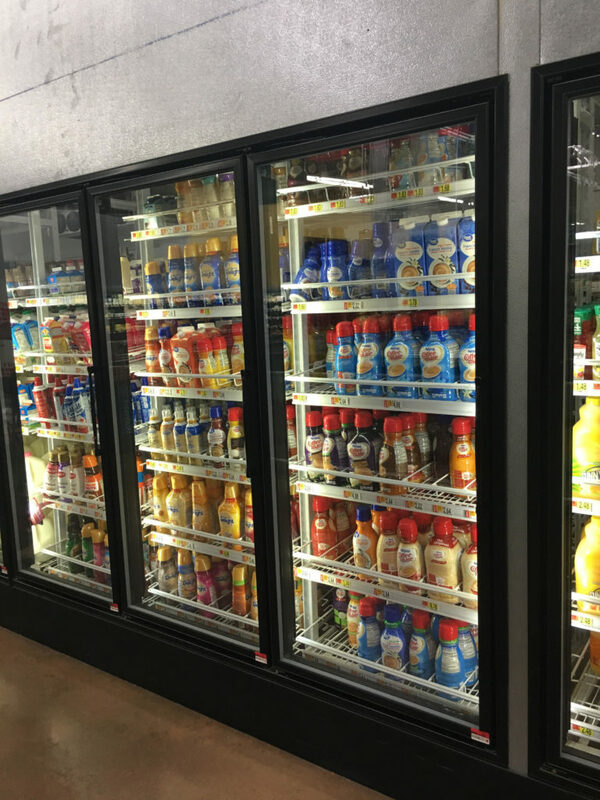 You can find the One Touch Latte™ products in the refrigerated coffee creamer section. Check out some other great and easy recipes here!